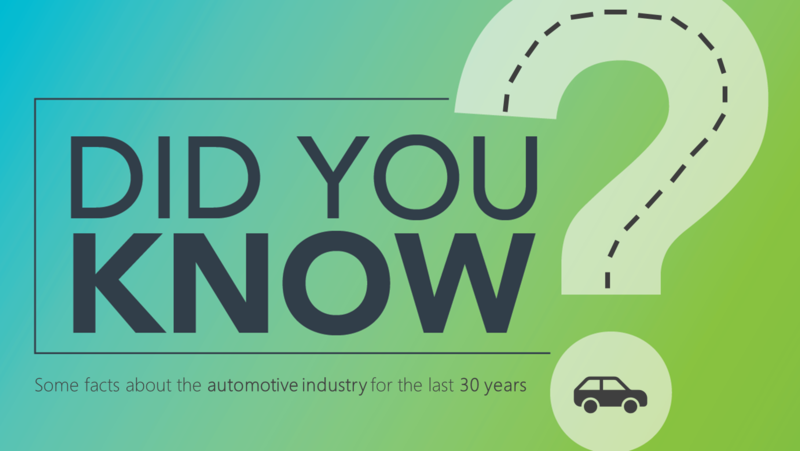 Our automobile enthusiasts have had fun getting out of the facts since 1989 to celebrate our 30 years anniversary in the industry. MI Integration has always been and remains on the lookout for market trends. Despite worldwide capital spending of $90 billion between 1983 and 1989, the domestic manufacturers lost ground in terms of market share to the Japanese automakers. It is estimated that by 1995 Japan’s North American transplant capacity for cars and light trucks could reach 2.8 million units, compared with just over 2 million. General Motors bought 50% of SAAB and the remaining 50% in 2000. GM sold Saab in 2012. General Motors launch the new Corvette ZR-1 nicknamed “King Of The Hill” equipped with the new all aluminum LT-5 32 valves V8 engine designed in collaboration with Lotus (at that time partly owned by GM) and assembled by Mercury Marine in Stillwater OK USA. It was considered to be one of the fastest production cars in the world with it’s top speed of 180mph and a zero to 60 time of 4.3 seconds. There were 193 million registered autos in the U.S. In the United States, for example, there was one vehicle for every 1.6 person in 1990; in Mexico, that ratio dropped to one for every 8.9 people, while in Brazil there was only one vehicle for every 12 people. Chrysler sells off most of its stock in Mitsubishi Motors. In 1991, GM launched the fully electric EV1. This car looked and drove like the future, but it wasn’t without faults. The EV1 had long charge times, and though it promised 70-90 miles on a charge, Popular Mechanics’ own real-world testing at the time saw ranges closer to 50-60 miles. The EV1s were all leased vehicles and famously crushed upon their return to GM, and to some it seemed like the EV resurgence was cursed along with them. But let’s not forget that the first practical full electric car was built by Robert Anderson in 1832. BMW announced in 1992 that it would build a 1,150-acre (470 ha) manufacturing facility in Spartanburg County, South Carolina, United States to strengthen its international production system. The plant opened in 1994. High Intensity Discharge headlamps (far brighter than traditional halogen lamps) were first installed in European production sedans. They were much brighter than halogen headlamps. The LED followed in the early 2000’s. On December 12th of that year, Bill Clinton signed the new law for the NAFTA agreement which had a major impacted on the automotive business manufacturing strategies. McLaren chief engineer and designer Gordon Murray, launch the fastest, most technologically advance super car in the world, the “McLaren F1”. Other then its outstanding lines, it features a middle (center) driving position and was the first carbon fiber monocoque road car. The McLaren F1’s engine compartment contains the mid-mounted 6.1L V12 BMW S70/2 engine producing 618hp and uses gold foil as a heat shield in the exhaust compartment. Top speed is 240mph (386km/h). Eventually Honda became dissatisfied with the venture, and British Aerospace sold the Rover/Mini operations to the German automaker BMW (Bavarian Motor Works). British luxury car marque Aston Martin’s name came from one of the founders Lionel Martin who used to race at Aston Hill near Aston Clinton. The company was owned by Ford Motor Company from 1994 till 2007. However, Ford still owns stakes in the company. Fatalities and injuries at this Grand Prix proved to be a major turning point in both the 1994 season, and in the development of Formula One itself, particularly with regard to safety. The race weekend was marked by the deaths of Austrian driver Roland Ratzenberger and of three-time world champion Ayrton Senna in separate accidents. Other incidents saw driver Rubens Barrichello injured and several mechanics and spectators injured. They were the first fatalities in the Formula One World Championship since the 1982 Canadian Grand Prix, and the first with two driver deaths since the 1960 Belgian Grand Prix. The 79th Indianapolis 500was held at the Indianapolis Motor Speedway in Speedway, Indiana on Sunday, May 28, 1995. Sanctioned by USAC, it was part of the 1995 CART PPG Indy Car World Series season. Jacques Villeneuve won in his second start. Race winner Jacques Villeneuve’s day was not without incident, as he was penalized two laps for inadvertently passing the pace car during a caution period in the early segment of the race. Through both strategy and luck, the young driver made up the deficit during the race, earning the “Indy 505” sobriquet. Ford and GM increased their financial stakes in Mazda and Isuzu respectively, with Ford taking operative control of Mazda. As the name would suggest, OBD II was an evolution of the first on-board diagnostics systems protocol of the 1980s. OBD II provided far more diagnostic capability, allowing technicians and home mechanics to find out exactly what was wrong with their car through specific codes accessed by a 16 pins connector. Want to know why your engine was running poorly? OBD II could tell you that a specific cylinder was misfiring. OBD II allowed the adaptation of far more complex and precise air and fuel management in the engine. And this more sophisticated control over the engine has produced improved fuel economy as well as the enhanced performance we’ve seen in the last two decades. Canadian Jacques Villeneuve win the FIA Formula One championship. The title was decided at the final round in Jerez. Villeneuve came out on top and won the World Championship in only his second season, but the race was remembered for a collision between himself and title rival Schumacher. To date, Jacques is the only Canadian to have achieved this rank in this prestigious competitive sport. Chrysler was merged with Germany’s Daimler-Benz AG, which then became DaimlerChrysler. Volkswagen buys Rolls-Royce and Bentley. BMW buys back the Rolls Royce brand from Volkswagen. If you drive a newish car with push-button start, the experience of climbing into an older car and turning a key to fire it up feels surprisingly dated. Over the past couple decades, smart key fobs have made getting in and starting your car nearly effortless. Simply leave the fob in your pocket. As you approach, doors will unlock by simply touching the handle. Once inside the engine purrs to life with an easy push of a starter button. It’s a level of personalization and convenience that’s almost standard today. Not so long ago this sensation was a pure novelty. In 1998, Mercedes-Benz was the first to offer the tech. Some of the first versions were credit card-sized slivers of plastic, but those evolved into the fobs we have today. That year, 8.7 million vehicles were sold in the Untied States. BMW sold the Land Rover segment to Ford. It’s no coincidence that we see far fewer cars parked on the side of the road with a flat tire these days? Big improvements in tire technology had a lot to do with it and run-flat tires have enjoyed a spike in popularity over the past two decades. But the standardization of tire pressure monitoring systems (TPMS) in cars means that owners are warned about their under-inflated tires before real trouble happens. Dale Earnhardt was an American race car driver who gained worldwide fame as a stock car driver for NASCAR, recording seven Winston Cup Championship victories and 76 career wins, including the 1998 Daytona 500. He was killed in a final-lap collision in the Daytona 500 at Daytona International Speedway on February 18 of that year. After Earnhardt’s death, NASCAR began an intensive focus on safety which generated the invention of the HANS devise which is a head and neck restrain now mandatory in all automotive racing series in the world since 2002. Infiniti launched a lifesaver with the first backup camera available in the new Q45. With a camera mounted below the trunk lid and a monitor in the dash, these early systems saved lives and made parking far easier for thousands of car owners. The final fourth-generation Camaro was built on 27 August 2002 after which the Boisbriand plant, located in the province of Quebec just outside of Montreal then closed down. Total production for 2002 was 42,098 units. Dual clutch transmissions have been used in racing since the 1980s. Volkswagen was the first to popularize the transmission and democratize its use in production cars. VW’s dual clutch transmission, called DSG, was launched in mainstream performance vehicles like the GTI in 2003. The downside of dual-clutch? They put a big nail in the manual transmission’s coffin. Today, these transmissions are used by just about every brand in performance applications, from Mercedes-Benz to Lamborghini. The Worldwide Big Three automakers are General Motors, Toyota Motor Corporation, and Ford Motor Company. In 2004 these companies had worldwide market shares of 13%, 11%, and 10%, respectively, and production shares that closely mirrored these numbers. Interestingly, the geocenter of automotive production is the Asia-Pacific region, with over 23 million units produced in 2004. Japan was the dominant producer, with China a distant second at half of Japan’s output that year. Western Europe and North America ranked a distant second and third in worldwide production, respectively, producing between 16 and 17 million vehicles in 2004. Germany is the dominant producer in western Europe, while the United States produces the lion’s share of vehicles in North America. The Ford GTis an American mid-engine two-seater sports car manufactured and marketed by Ford for model year 2005 in conjunction with the company’s 2003 centenary. The Ford GT began production again from the 2017 model year. The GT recalls Ford’s historically significant GT40, a consecutive four-time winner of the 24 Hours of Le Mans (1966–1969), including a 1-2-3 finish in 1966. Ford GT has the gulf edition. Henry Ford II had wanted a Ford at Le Mans since the early 1960s. In early 1963, Ford reportedly received word through a European intermediary that Enzo Ferrari was interested in selling to Ford Motor Company. Ford reportedly spent several million dollars in an audit of Ferrari factory assets and in legal negotiations, only to have Ferrari unilaterally cut off talks at a late stage due to disputes about the ability to direct open wheel racing. Ferrari, who wanted to remain the sole operator of his company’s motor sports division, was angered when he was told that he would not be allowed to race at the Indianapolis 500 if the deal went through since Ford fielded Indy cars using its own engine, and didn’t want competition from Ferrari. Enzo cut the deal off out of spite and Henry Ford II, enraged, directed his racing division to find a company that could build a Ferrari-beater on the world endurance-racing circuit. In 2006, Toyota continued to be the industry leader in manufacturing, followed by General Motors (once the largest U.S. corporation), Ford, Volkswagen, and Honda. South America’s Mercosur Trade Agreement and the North American Free Trade Agreement (NAFTA) have stimulated exports by further eliminating trade barriers between producing nations. Major international carmakers moved to Mexico’s side of the border with the United States after the passage of NAFTA. In 2006, Mexico produced two million cars, a record number. Argentina’s auto industry has had a difficult time adjusting to international competition and in the early twenty-first century has been restructuring. Audi took a historic first diesel engine wins in the Le Mans 24 Hours, on the R10 TDI’s debut in the Sarthe classic. This is the most ambitious and the most expensive project ever undertaken by Audi Sport; the Audi R10 TDI project cost Audi $15 million a year. Spurred by European legislation requiring automakers to take back all of their end-of-life-cycle vehicles beginning in 2007, manufacturers worldwide have begun engineering new products with the complete recycling of components in mind. At the same time, they have used more and different recycled material in new vehicles. For example, old bumper covers have been recycled into fender liners or battery trays for new cars. As of 2007, overcapacity in the global automotive industry is estimated at 20 million units, which is approximately one-third of global annual production or the productive capacity of the western European automakers. With minimum efficient scale of production at an assembly plant estimated at 200,000 vehicles, dozens of assembly plants are likely to close as automakers strive to improve their profitability. Capacity unitization of about 75% is the tipping point below which automakers are in jeopardy of experiencing financial losses. The credit crisis that began in 2008 and the associated recession resulted in significant losses for most automobile manufacturers. The U.S. industry was especially hard hit, losing sales as well from late 2007 to mid-2008 as customers sought more energy-efficient cars as gasoline prices skyrocketed, and in late 2008 U.S. automotive companies sought government financial aid. Subsequently, the government forced Chrysler and General Motors to declare bankruptcy (2009) and reorganize in an attempt to create viable companies. Mexico is the sixth producer of automobiles globally. From 2009 to 2011 it rose two positions, surpassing France and Spain. Although it might be beneficial to have a system that evaluates driver aptitude and shuts down the vehicle when incompetence is detected, we aren’t there yet. But technology exists that measures a driver’s fitness and issues warnings when a driver is judged overly tired or impaired. Attention Assist, found in the 2010 Mercedes-Benz E-Class, remembers a driver’s normal behavior behind the wheel and establishes it as the driver’s baseline profile. Continually measuring factors such as speed, lateral acceleration, steering wheel angle, pedal use and so forth, the system determines if there is any deviation from the baseline. If so, it alerts the driver visually and audibly that it’s break time. Even external influences such as crosswind and road surface are factored in. Given the highly integrated nature of the auto industry, parts and components may cross the NAFTA countries’ borders as many as 8 times before being installed in a final assembly plant in one of the 3 NAFTA partner countries. After 2 years break from formula 1, the 2007 F1 world champion Kimi Raikkonen returns to the queen discipline to race for Lotus F1 race team. Even though Lotus had a mid-field car, Kimi won the Abu Dabi GP and reestablish his self in the F1 world as one of the best and most charismatic drivers of the last decate. The most expensive car ever sold at a public auction was a 1954 Mercedes-Benz W196R Formula 1 race car, which went for a staggering $30 million at Bonhams in July 2013. The record was previously held by a 1957 Ferrari Testa Rossa Prototype, sold in California at an auction for $16.4 million. Fiat announced plans to purchase all of Chrysler’s shares and incorporate in the Netherlands as Fiat Chrysler Automobiles NV; the new company will be based in Great Britain. In Canada, NAFTA trade totaled $1.1 trillion, and about 20%, or $230 billion of that was automotive-related. Of that, vehicles comprised 45% and parts was 55%. Mexico sold 1.3 million automobiles in 2015. Monthly sales exceed 100,000 units. Mexican’s Foreign Direct Investment (FDI) in the automotive and auto parts sector was 6 billion dollars, a historic record. Vehicles are the top Canadian export valued at $64.6 billion of which 95% was exported to the U.S.
2 million new cars were sold in the U.S., as well as 11.1 million SUVs and light trucks, adding up to approximately 17.3 automobile transactions. Worldwide, 78.6 new cars were sold that year! The auto industry is the largest private investor in R&D in Europe, with almost €54 billion invested annually. Over 8,700 patents were granted to the automotive sector by the EPO. There are 260,350,940 registered vehicles in the United States, which is an all-time high. That also accounts for 20 million more automobiles than 2007, and in 1990 there were only 193 million registered autos in the U.S.
On Feb. 6, 2018, SpaceX’s hugeFalcon Heavy rocket aced its maiden flight, launching Musk’s cherry-red Tesla Roadster and its mannequin driver, Starman, into orbit around the sun. The Roadster is journeying on an elliptical path, which takes it out beyond Mars at aphelion (the most distant point from the sun) and near Earth’s orbit at perihelion (closest solar approach). Driver Timo Bernard’s 5:19.55 in the Porsche 919 Hybrid Evo. It’s the quickest lap any car has ever turned around the Nordschleife, slaughtering the 6:11.13 record that stood for a lifetime, set during qualifying in 1983 by the late Stefan Bellof in that pathetic ox cart, the Porsche 956C. Of course, Bellof was restrained by the burden of having rules to follow. Bernard, in the Evo, wasn’t. What would happened this year?? ?